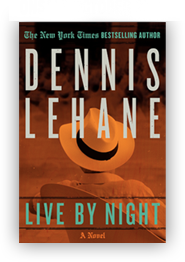 And speaking of Boston (see my last post), I want to emphasize how well Dennis Lehane’s books convey the Boston “voice,” and life in the tough, working class parts of Boston where he grew up. You may not want to actually spend your vacation in the Dorchester neighborhood, for example, but you can visit those places through Mystic River, Gone, Baby, Gone and his latest, Live by Night, which all make great reads before a trip to Boston and a nice diversion from the Freedom Trail. I saw Lehane last week when he spoke at Pen Pals, the author series that raises funds for the Hennepin County Library system which serves the Minneapolis area. He’s one of the best speakers I’ve ever heard, mixing insightful literary observations, stories of his relationship with Clint Eastwood who directed Mystic River, writing for HBO’s The Wire, and hilarious anecdotes about his gigantic Irish American family. He learned his storytelling expertise at family gatherings (and sometimes in bars) where his dad and his uncle told “true” stories that changed with every retelling. On your way to Boston? You’ll also want to pick up some of the books that Lehane suggested in a In New York Times interview, which included classics such as The Friends of Eddie Coyle, by George V. Higgins, The Last Hurrah and The Edge of Sadness, by Edwin O’Connor, and in nonfiction, Common Ground, by J. Anthony Lukas. I also have scads of other Boston books on the reading list in Off The Beaten Page: The Best Trips for Lit Lovers, Book Clubs, and Girls on Getaways.